In the last week I was referred by a friend to Roman & Roman after two firms wouldn't take my case. I was in a bad auto accident my first week back to work from maternity leave. I couldn't be more stressed out. Mike Lentini and his assistant, Darlene, worked on my personal injury claim. I couldn't be happier with the service they provided or the outcome of my case. What a relief! My auto accident was handled awesomely, had received great advice from Paula Roman, everything situation was handled with ease from repair of auto, surgery, and the settlement. Will definitely use them again if need should arise. Thank You Roman & Roman for all of your help with our case. Paula you were so wonderful taking care of this complicated case. We Thank You for all of your hard work. If we ever need you again, we will call you first. Choose Roman & Roman, you won't regret it. I had a fantastic experience with Roman and Roman as my attorney for my car accident case. They came to me referred by my parents. The morning after my accident I was in Paula's office getting the ball rolling. Paula Roman and her assistant Crystal were there for me every step of the way, explaining what the next step in the process was, answering my emails promptly and answering any questions I had. If I ever get into an accident again (I hope not!) I know who's office I'll be going to. Paula Roman did a great job helping my daughter win a settlement from a car accident. She always was available when I needed her and worked hard to get the best results. I highly recommend her. Excellent!. They handled my case very effectively and the results were just what was needed. I would recommend their services!!
" 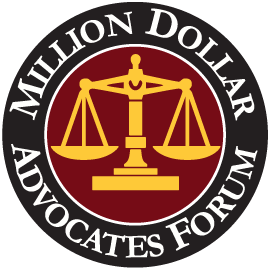 I HIGHLY RECOMMEND THIS LAW FIRM TO ANYONE SEEKING EXCELLENT ATTORNEYS." My first meeting at Roman & Roman I knew I made the right decision. I interviewed several other law firms before I went to Roman & Roman, and I knew at that moment I didn't want any other law firm to represent me. All the attorneys there are experienced, professional, reliable, and overall just excellent. I had the unfortunate luck of being the victim in a car accident. When I reached out to Roman and Roman for help, their attorneys immediately did so by finding me a doctor who treated me for my injuries. They also helped me with the property damage and depreciation value of my car. I was very pleased with the outcome of my personal injury claim and highly recommend their firm. I needed a lawyer for an injury accident and, during a google search, I came upon the Roman & Roman Firm which is close to my studio so I contacted them. I give them two giant thumbs up!! Not only did they settle my claim to my complete satisfaction, they completed it in seven months! That is great service my friends. Hard-working, dependable attorney. Mike was referred by a friend who knew him in law school. My automobile accident was a very difficult one because it included injuries to both my 92 year old mom and me. Mike had the patience, diligence and determination to see the case to fruition. He was able to explain the situation clearly, in layman terms, so I could make sound decisions. I wholeheartedly recommend him as an honest, sincere attorney. Great Lawyer, Highly Recommend. I've used Mike on several occasions, and have always had the same exceptional service. The biggest difference between him and other lawyers was his alacrity. With other lawyers in the past, it seemed like I was pulling teeth to get updates on my case, but not Mike. He always kept me informed as to what he was doing and what the next step was. Lease Agreement. Mr. Lentini did an excellent job helping me review a lease agreement for rental property. His review of the lease agreement was very thorough, to ensure that the arrangements made would be in my favor. When I had questions about the lease, Mr. Lentini personally responded quickly back to emails and phone calls I placed. Overall, I felt that Mr. Lentini was professional, accessible, and genuinely cared about a positive outcome for me. We were so happy this office was very convenient . They were able to accommodate us as we were on vacation from out of town. They kept us updated throughout the process. I would definitely recommend this office to my family and friends. Thank you !!! ... You won't find genuine people like them often. You will always hear rumors throughout your life that lawyers will "screw you over" or are "rude as hell" but none of these things are true with Roman and Roman! The Clearwater personal injury attorneys of Roman & Roman are highly experienced with offices in Clearwater, Hudson, and Tampa, dedicated to helping our clients. We are here to assist you in receiving the justice you deserve. With our help, you can rest and recuperate knowing that what needs to be done is being done on your behalf. Since each member of our team is an accomplished personal injury attorney in Clearwater, the area residents understand that they are dealing with a firm that has a combined 50 years of experience. Every minute can count. If you’ve been injured and need help from a personal injury attorney in Clearwater, Hudson, Tampa or other nearby areas, please contact us by phone or through this Web site to schedule a free initial legal consultation with a personal injury attorney experienced in personal injury law. The person you meet WILL be a personal injury attorney, not an investigator, paralegal, or case manager. Claims for all of your losses – both to your person and your property – must be made quickly upon the negligent party or parties involved and their insurance companies. Our Clearwater personal injury attorneys will take all actions necessary to help ensure that you or your loved ones are properly compensated. At Roman & Roman, our experienced attorneys bring 30 years of knowledge and experience to each case. We have successfully represented thousands of clients in a variety of legal matters, providing the aggressive and effective legal representation our clients need. Our experienced Clearwater personal injury attorneys are dedicated to providing clients with the kind of dedicated and aggressive legal representation they need, as well as the kind of legal knowledge that gets results. With over 30 years of combined experienced, our family of practicing Florida attorneys has helped thousands of clients resolve their legal issues, getting the best possible outcome in each case. Car accidents happen unexpectedly, and your injuries may be severe. You may require ongoing medical treatment, and your ability to make a living may be temporarily or permanently impaired. While the insurance company looks out for its own best interests, you need someone looking out for yours. If you have been injured in a car accident, contact Roman & Roman today to speak with an experienced Clearwater car accident attorney. Motorcycles offer little protection in the event of an accident, and injuries sustained in motorcycle accidents are often serious, and even life threatening. Before speaking with an insurance company, contact Roman & Roman for a free review of your case. Our experienced Clearwater motorcycle attorney can help ensure you get the maximum amount of compensation needed to recover from your injuries. Florida has one of the highest rates in the nation for pedestrian and bicycle accidents. Injuries caused by these accidents can require months of ongoing medical treatment and care. 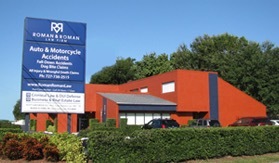 At Roman & Roman, our experienced Clearwater pedestrian and bicycle accident attorneys can help you to get the compensation you deserve for your injuries. Slip and fall accidents can result in injuries that have lasting repercussions. Our experienced Clearwater slip and fall accident attorneys can help you receive compensation to help offset your medical expenses and pain and suffering. Dog bites and attacks can happen anywhere, and even a dog who was previously friendly can end up causing serious injuries. Injuries caused by dog bites and attacks can cause permanent scarring and damage, and also carry an increased risk of infection. Unfortunately, incidents of nursing home abuse and neglect have become increasing more common. At Roman & Roman, we understand how these types of injuries can cause both physical as well as emotional harm. If you or a loved one has been injured in a nursing home, contact our experienced Clearwater nursing home abuse attorneys today for a confidential review of your case. Despite efforts to prevent drunk driving, these types of accident continue to cause serious injuries. At Roman & Roman, we understand how devastating accidents caused by drunk drivers can be. If you have been injured by a drunk driver, contact our experienced Clearwater attorney today. If you have been injured in an accident with an uninsured driver, you may be wondering who will be responsible for paying for your medical bills, property damages, and lost wages. At Roman & Roman, our experienced Clearwater uninsured motorist accident attorneys can help you to get the compensation you need to recover from your injuries. Injuries due to construction accidents result in heavy medical expenses, as well as lost wages. At Roman & Roman, we understand the devastating impacts these types of injuries can have. We will fight to ensure you get the compensation you need to recover from your injuries. Sports injuries can result in permanent damage and disability. If you have been injured while participating in recreational or professional sports, contact our experienced Clearwater sports accident attorneys today. 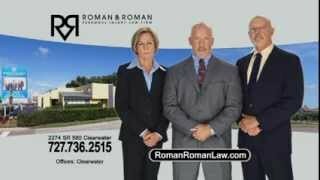 At Roman & Roman, our attorneys will aggressively pursue getting you the compensation you deserve. If you or a loved one has suffered a catastrophic injury, you are likely wondering how you will handle the ongoing medical bills while dealing with lost wages and permanent disability. Our attorneys can help you recover due compensation. The death of a loved one is always difficult, but when it happens as the result of someone’s reckless or negligent actions the pain can be unbearable. At Roman & Roman, we understand that while no amount of money can bring back your loved one, responsible parties should be brought to justice. Whether you are negotiating a contract, closing on real estate, or involved in commercial litigation, you want to be sure that your legal rights and best interests are protected. At Roman & Roman, our experienced Clearwater business attorneys can preserve your assets and protect your interests in all your transactions. Contact us today for a free consultation, and let our family of attorneys assist you in all your legal needs. 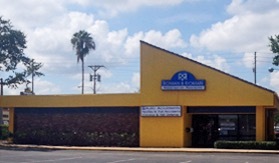 From contracts and sales to disputes, leases, foreclosures and beyond, the legal team at Roman & Roman has dealt extensively with all aspects of business and real estate transactions for individuals and businesses. Our goal is always to make the process simple and straightforward as we move towards the resolution that serves the best interest of each client. How do I find the right lawyer for me in the event of an injury? It’s important to find a lawyer with as much experience as possible in your specific area of the law. If you’ve been injured, a Personal Injury Lawyer can provide credible advice about the specific law or laws you are dealing with. You should consider the amount of experience any lawyer you are considering has in a trial setting as well as the reputation a lawyer or law firm holds within the community. Also, make sure that you will be able to speak with and meet the lawyer who will be handling your case, and not just an investigator or legal assistant. What kind of information should I give to my lawyer? Your lawyer will only request the information he or she feels is necessary to help you with your claim. Normally, in a personal injury case, this includes details from the scene of the accident or incident including photographs, information about where you obtained treatment for injuries sustained, your health insurance, your medical history prior to the accident and, if you were involved in a car accident, your auto insurance policy and claim number. What happens when I call for a consultation? Most importantly, your attorney will be able to tell you whether or not you have a legitimate legal claim. If you do, your lawyer will then ask you to sign an attorney-client fee agreement, after which he or she can continue to advise and represent you throughout the case. If you were injured in an accident due to someone’s negligence, the attorney will not charge you a fee for the initial office consultation but will ask you to sign a contingency fee agreement. Under the contingency fee agreement, the attorney will not be paid a fee unless he or she recovers money for you on the claim by way of a settlement or a recovery on a money judgment after a trial. Who will pay my medical bills if I am injured in a car accident? Your car insurance company will make payments toward your medical bills under the Personal Injury Protection (“PIP”) provisions of your policy. This is part of your automobile insurance coverage required by Florida law in the minimum amount of $10,000. It pays for 80% of medical expenses, 60% of gross wage loss, and all expenses reasonably incurred in obtaining services, such as housekeeping and child care, that except for the injury, you yourself would have performed for the benefit of your household. PIP also pays reasonable mileage or expenses for transportation to and from doctors’ offices for medical treatment. All PIP payments are made by your own insurance company, regardless of whose negligence caused the accident. That is why PIP is often referred to as “No-Fault” coverage. What if an insurance company contacts me with a settlement offer before I have consulted with a lawyer? It is not advisable to accept any offer from the insurance company before you speak with a lawyer who has your best interests in mind and can advise you as to your legal rights. A lawyer with experience can negotiate a better settlement for you that meets your needs. Settling your personal injury claim without knowing the full extent of your injuries and damages is a serious mistake. Should I give a recorded statement to an insurance company if I have been injured in an accident? It is best to get legal advice from an experienced personal injury attorney before you give a statement to an insurance company or claims adjuster. That is why it is important that you consult with the attorney as soon as possible after you have been injured in an accident. What is “uninsured motorist” coverage? What is “underinsured motorist” coverage? Uninsured/underinsured motorist coverage is optional insurance coverage that pays benefits to you if you are injured as a result of another driver’s negligence and which driver either is uninsured or does not have enough bodily injury liability insurance to cover all of your injuries. You cannot purchase uninsured/underinsured motorist coverage in an amount greater than your bodily injury liability coverage. Not necessarily. Unfortunately, the term “full coverage” doesn’t have a technical meaning, and is just a phrase that a car insurance agent might use to make a policy sound better than it really is. Depending on which state you resided in when you purchased your car insurance policy, there are certain types of insurance coverages required by state law, and certain types of coverages which, although very important to include on your policy, are optional. If you have suffered a personal injury or have pressing business concerns, you want an experienced attorney on your case, one who will work diligently to ensure your interests are protected. At Roman & Roman, we are a family-run law firm, and our Clearwater personal injury attorneys will fight for your rights, working diligently to get you justice. You can rest easy knowing that your case will get the time and attention necessary to ensure the best possible results in all your legal matters. We’ve helped clients like you since 1985. You will meet with an actual personal injury attorney, not a paralegal or representative. There is no charge for an initial meeting about your case. And, unless there is a recovery through a settlement or a judgment after a jury trial, you owe us nothing – no attorneys’ fees or costs. We are available 24 hours a day, seven days a week. 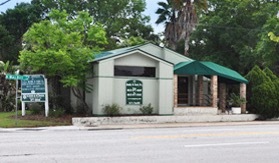 With three law offices serving Clearwater, Dunedin, New Port Richey, Hudson, Brooksville, Spring Hill and Tampa, you’ll find it convenient to work with us!